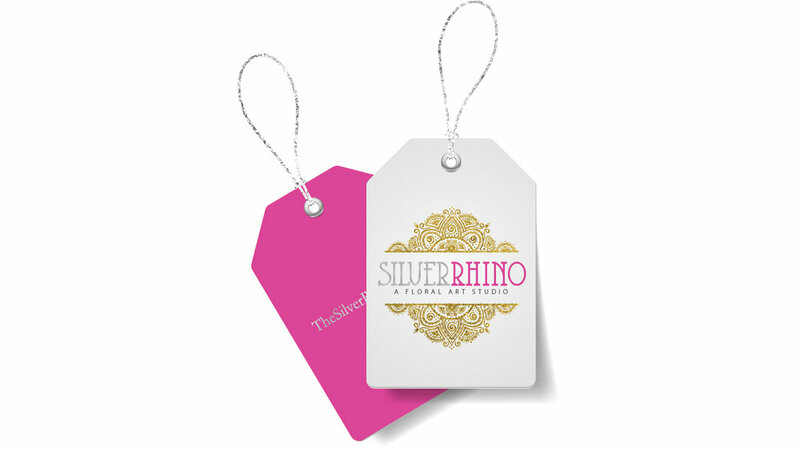 Gena, the owner of Silver Rhino, needed an identity for her floral studio. Since her recent travels throughout India had played such a pivotal role in her journey of self-discovery, which provided the courage she needed to open her business, she wished to somehow incorporate the henna-style of design from that region into her logo. 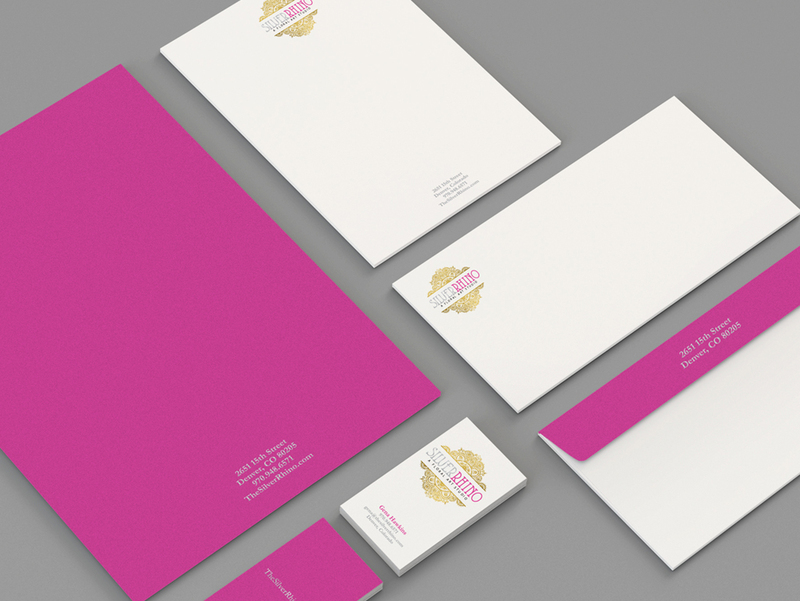 She also requested her favorite color, pink, to be included in the brand.